The Album Of The Week is "Weight Of Light" by Serpentcult. "They might have one of the most ridiculously stereotypical heavy metal band names this side of Skeletonwitch, but the music on SerpentCult’s debut full-length, Weight of Light, is anything but ordinary. Rising from the ashes of the tragic downfall of Thee Plague of Gentlemen, SerpentCult delivers a fresh take on doom metal, thanks to the addition of singer Michelle Nocon. Nocon’s soaring, operatic vocals provide a striking contrast to SerpentCult’s crushing, down-tuned guitar work. 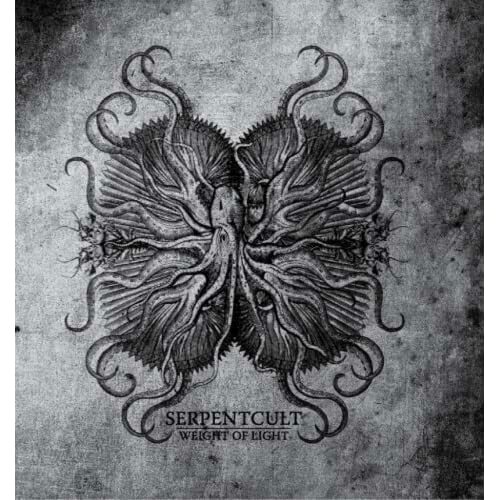 But Nocon is not the only thing saving SerpentCult from doom metal mediocrity. Unlike many of their counterparts, SerpentCult refuses to stay mired in the sludge for too long. They’re still a doom metal band first and foremost, but they’re not afraid to pick up the pace and crank out some thrash-worthy riffs.